Fantasy Designs has a complete in-house screen printing department. No order is too big or too small - we can create dozens of identical promotional items or customize individual garments with team numbers. Our designers will assist you from concept to creation! The best format of artwork to e-mail would be a vector file in spot colors. If you do not have any vector file in your possession we will re-create the art. we can accept Corel Draw, Illustrator, PDF, and EPS files without re-creating the art. You do not have to e-mail the art over to the size that you want; we can size it for you. Although, if you do e-mail artwork to size, please specify what size you would like. If you can only get your hands on a jpg, bmp, gif, or any other bitmap file, that is ok too. Specifications are crucial when it comes to artwork and e-mailing artwork. The details that we would like to see are as follows; Placement of the logo, are we re-creating the art or creating the art, what colors you would like to see, what size you would like it to be (usually 3.5" for left chest and 12" for full back), or any other information that you think we should know. Click Here To Submit Artwork! The screening process is a six process from start to finish. 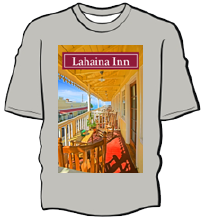 A graphic artist takes your concept and creates a hi-res digital image we use to print your garments. From there we take the vector artwork and move into the "Film and Output" stage. Our artists print your design on clear films we use to burn your image onto screens. Prior to burning, the screens are first stretched over and secured to a heavy-duty frame to ensure the proper tension needed for printing. Too much tension and the screens can break, too little and the ink will smear on the garments. After the screens are burned screens they are ready to be set-up printing. Our production staff sets up each screen individually and runs a test print to ensure each screen and color in the print is aligned properly resulting in a clean and high quality print. From the print pallets the screened garments enter the "Curing" phase when they are placed on a belt and ran through a dryer at 350 degrees +/- temperatures for different fabrics and blends. Each printed garment is then checked for quality. This six step process is followed multiple times throughout a single day and is strictly followed to produce high quality decorated products our customers demand. There are a vast array of inks and additives for different printing processes. Fantasy Designs uses only high quality Wilflex plastisol inks and additives to ensure our work is of the highest quality. With many different types of fabrics and fabric blends, additives are needed when screening today's hi-tech fabrics. Ink additives help the ink through the screening and curing process. Additives ensure the ink does not migrate, bleed, blur or fade throughout printing process. Additives also assist the ink dry during the cure process on today's technical fabrics. Here plastisol Ink is printed on a garment. Multiple colors are printed wet on wet then dried through a gas dryer on 320 degrees to cure the ink. On a dark garment a “white base" is printed then partially dried (flashed) then colors are printed on top of the flashed white base. These are called spot colors. This logo is a 5 color design on white and a 6 color design on black. Therefore, the white shirt requires 5 films and 5 screens and the black shirt will require 6 films and 6 screens. 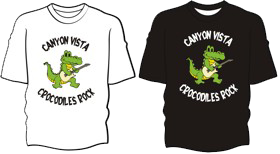 Four color process is used when you require to reproduce a picture or many colors on garments. 4 primary colors are used. The colors used are called CYMK colors, C=Cyan, Y=Yellow, M=Magenta, K=Black to produce every color available. This process is only used on light color garments preferably on white. These colors are not as vibrant as spot colors, and there is a 144 piece minimum when ordering. 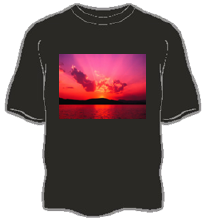 Simulated printing is used when you need to print an image that has many colors but may need to be printed on a dark garment. This process may require many screens to reproduce every color in the design. Heat seal uses 350 degree heat to adhere numbers and names to garments. Heat seal techniques are primarily used for numbers and names on jerseys, etc. Heat seal numbers come in varsity(serfif) or block fonts in 2”, 4”, 6” and 8”. 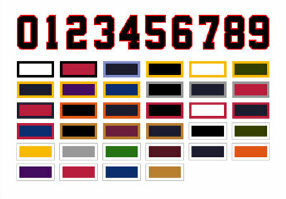 We generally stock black, white and navy numbers, but other colors may be special ordered. Screen Printed numbers that are heat applied are most commonly used. Options are one or two colors.